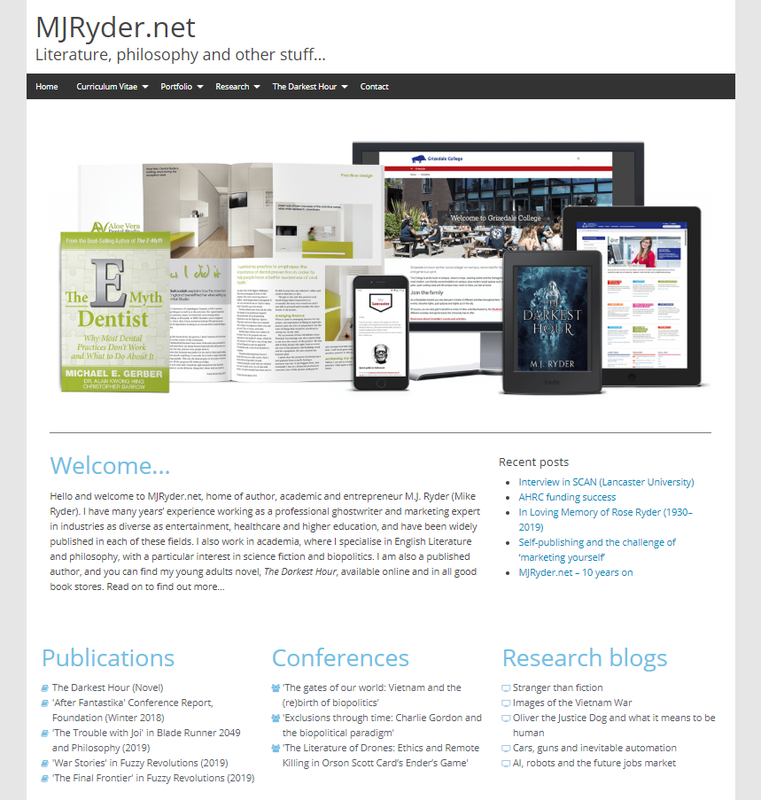 MJRyder.net started way back in 2008 as a personal portfolio and blog. Over the years, the website has developed to encompass the many different aspects of my professional and academic career to become the website you see before you today. Alongside this website, I also run an associated Facebook page, M.J. Ryder, through which I engage with my followers on topics relating to my research and my academic endeavours. 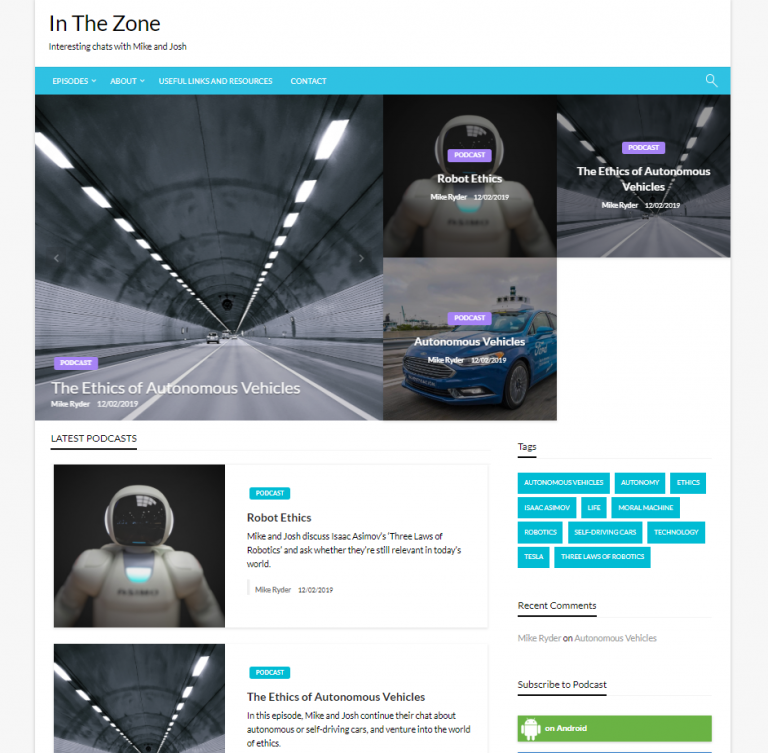 In The Zone is a podcast collaboration between myself (Mike Ryder) and my friend and colleague Josh Hughes. Described by one listener as ‘interesting chats with Mike and Josh’, each week, we take up a subject that we think is particularly interesting, and relate it back to our research and the wider world of academia. We also interview fellow researchers and review relevant books and films. 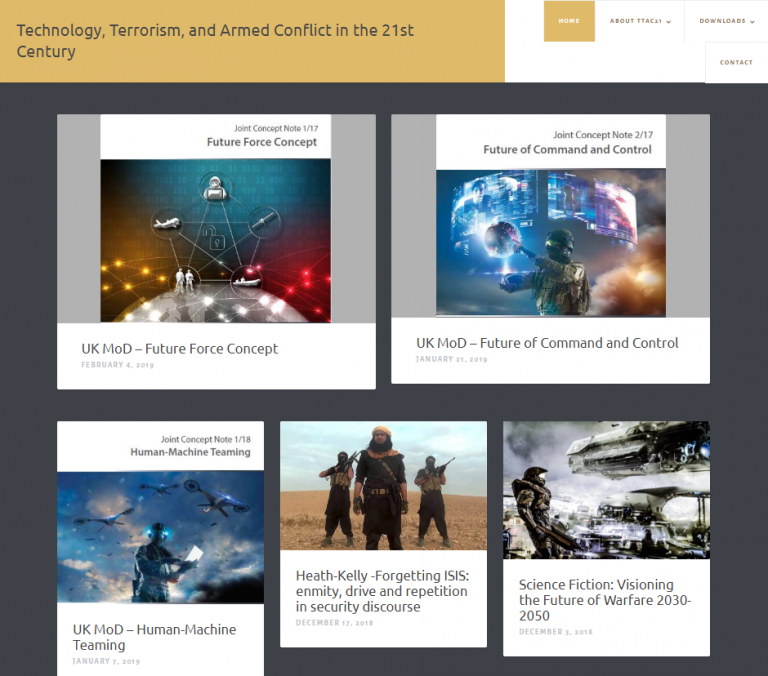 Technology, Terrorism and Armed Conflict in the 21st Century (TTAC21) is an AHRC-funded research network run by myself and Josh Hughes, with contributions from colleagues across the UK and beyond. Each week, we read a paper related to the themes of TTAC21 and provide feedback for group discussion. We also hold face-to-face meetings between members. 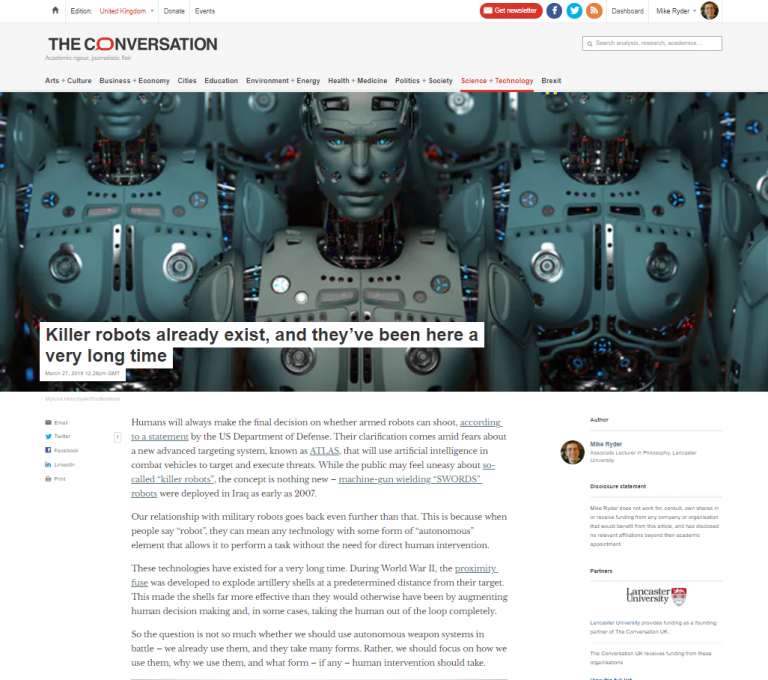 What do you expect to be the most important trend in the future of technology, terrorism, and/or armed conflict in the rest of this century?